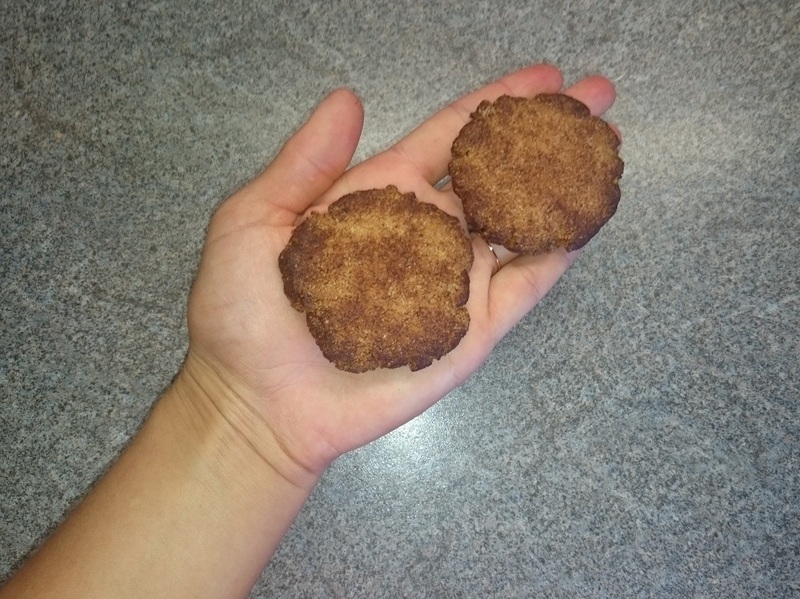 One of my absolute childhood favorites is snickerdoodles. For those of you not from the States, you’ll probably be raising your eyebrows, wondering what in the world I am referring to. At least that’s what I am guessing, as my boyfriend reacted just like that when I presented him with these. 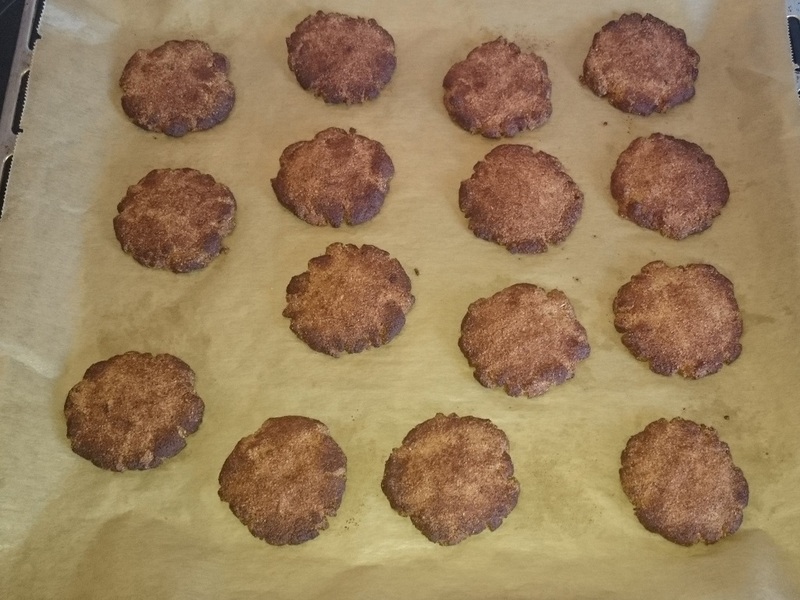 It’s definitely not a “known” cookie here in Germany, and therefore I am so super excited to be sharing this recipe with you – I have never found any of these wonderful cinnamon-cookies in German stores! As Christmas is coming up soon, I figure it’s fitting to start sharing Christmas Cookie Recipes. Granted, this recipe is one that can be made whenever, whereever, and should definitely always be a staple in a cookie jar, but it counts as a Christmas Cookie for sure! To clear things up for those of you who don’t know snickerdoodles: It’s a vanilla flavored soft butter cookie with a cinnamon-powdered sugar coating, causing it to literally melt in your mouth. The smell of these cookies baking is so addictive that even candles have been made with snickerdoodle scent…only not in Germany. I am feeling a pattern coming on. 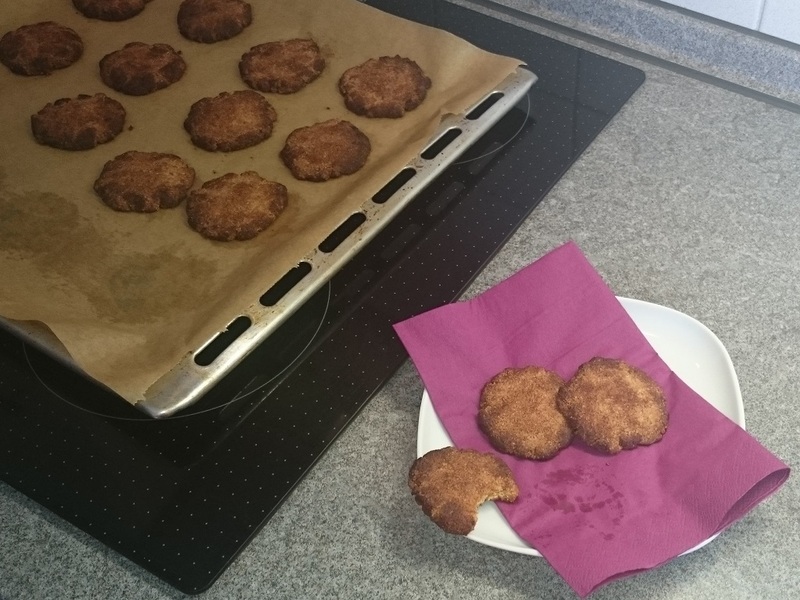 Maybe I should start a snickerdoodle company here in Germany? But let’s not get distracted and start by sharing the recipe with you guys first. 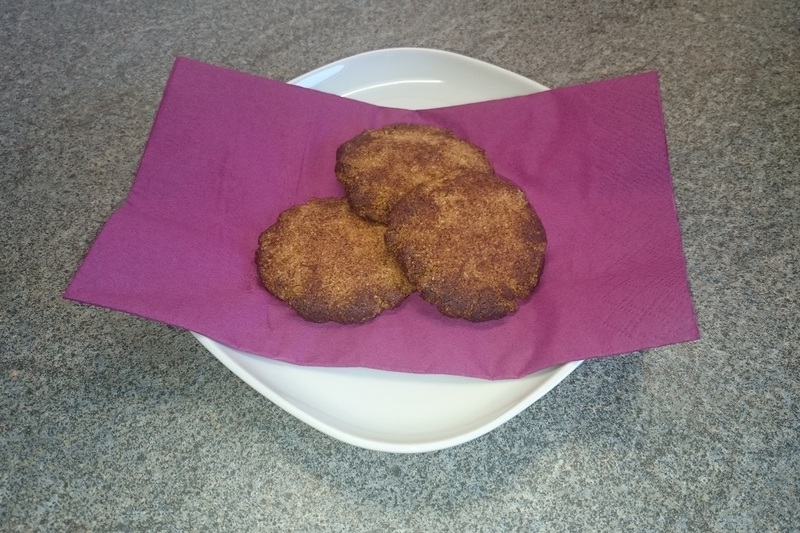 If it passes your judgement, I’ll revisit the German snickerdoodle company idea. These turned out a little darker than the bought kind, because a) I added a lot of cinnamon to the outer coating and b) I wanted a firmer cookie, so I left them in the oven 2 minutes longer than the allotted time. If you prefer softer cookies, make sure you only place them in the oven for 8 minutes! …and have both a low-carb and vegan option! 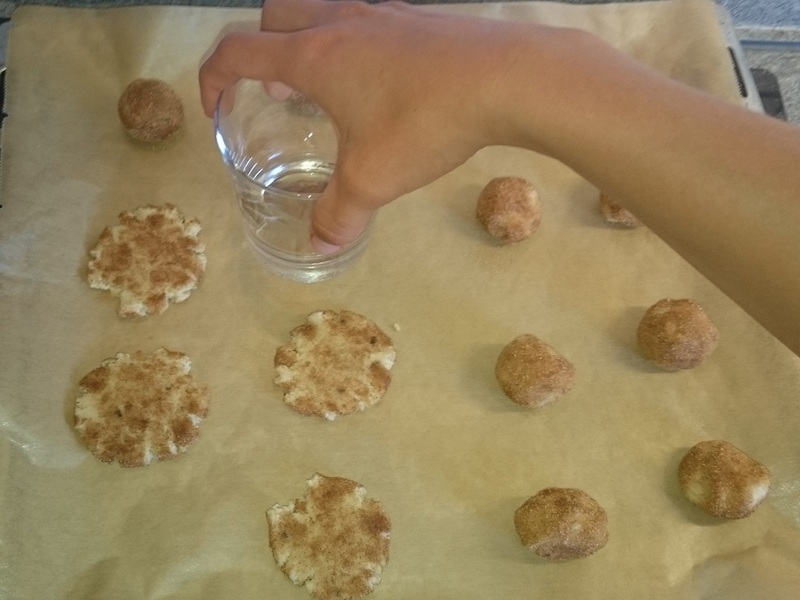 For a vegan cookie, sub out the honey for maple syrup, and for a low-carb option, use 3 tsp. 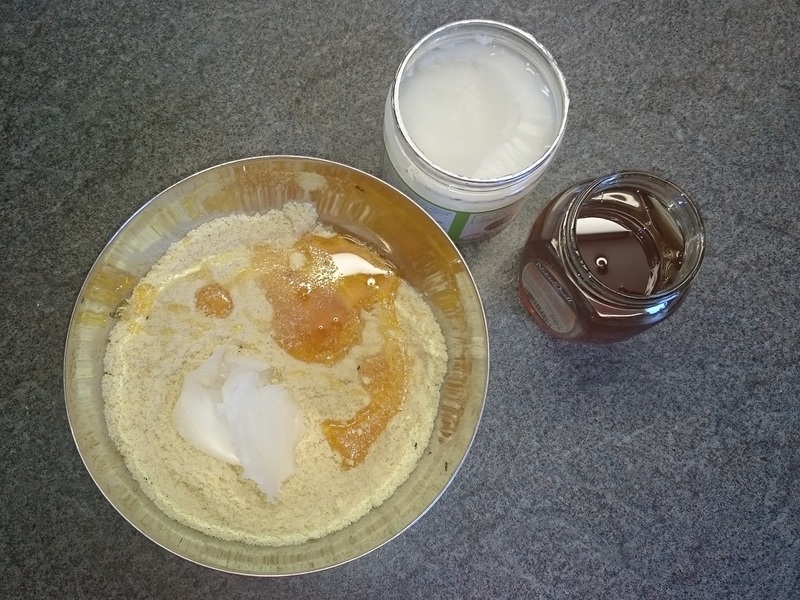 xylitol mixed with 2 Tbs. of water. One of the best things about these cookies is the way they smell as they are baking, though. I can really not praise them enough, that cinnamon smell takes me right back to when I was still in Tanzania, visiting my American friends after school. They were and are my ABSOLUTE FAVORITE cookies in the world. 1. 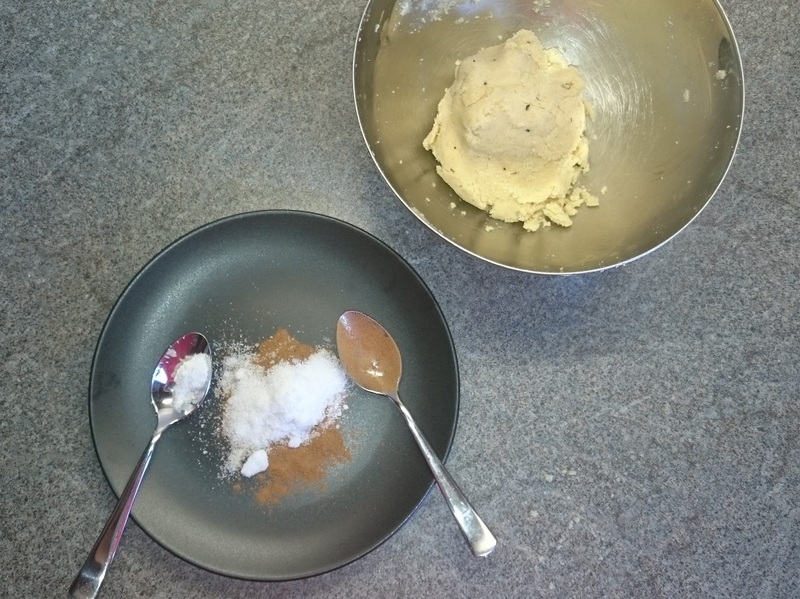 Mix all the ingredients except the cinnamon and xylitol for coating in a bowl. 2. Preheat oven to 175°C (350°F). 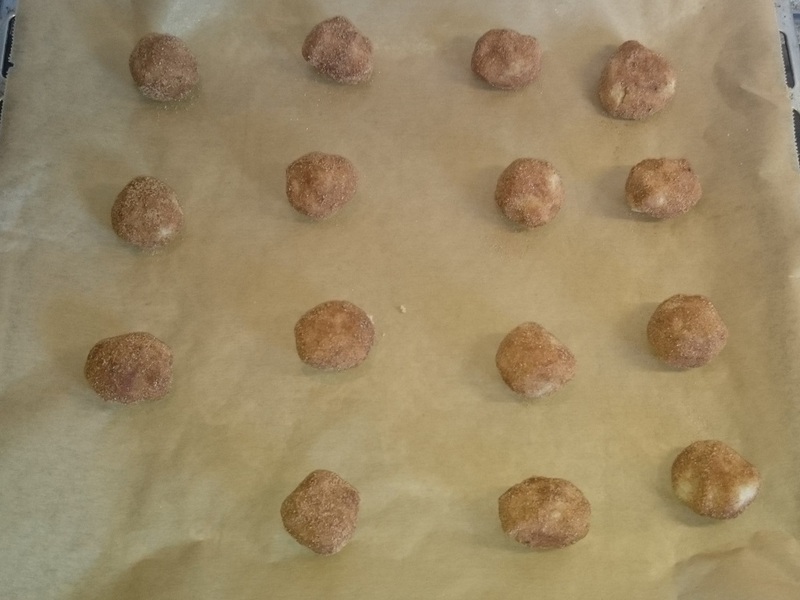 Roll dough into balls, then roll the dough balls in the cinnamon xylitol mix, and set on a baking tin lined with baking parchment. 3. 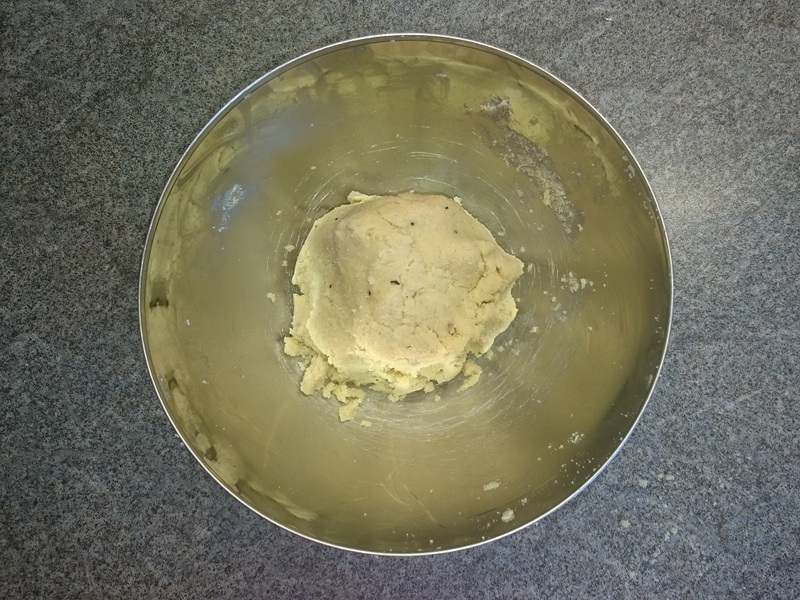 Using a glass or mug, press down on each dough ball to flatten (should be about 75mm or 1/4″). 4. Bake for 8 minutes, then remove from the oven and allow to cool completely before removing them from the baking tin. Note: Feel free to enjoy them while they are still warm; they might be a little crumbly though. Once they are cool, they will definitely hold together well! A note on the ominous “xylitol” I am referring to: It’s a type of all-natural sweetener I recently bought and have been trying out. It is derived from birch bark, apparently, and has half the calories of sugar, but sweetens in the exact same way. It is therefore very easy to sub it for sugar, as 1 tsp. of sugar = 1 tsp. 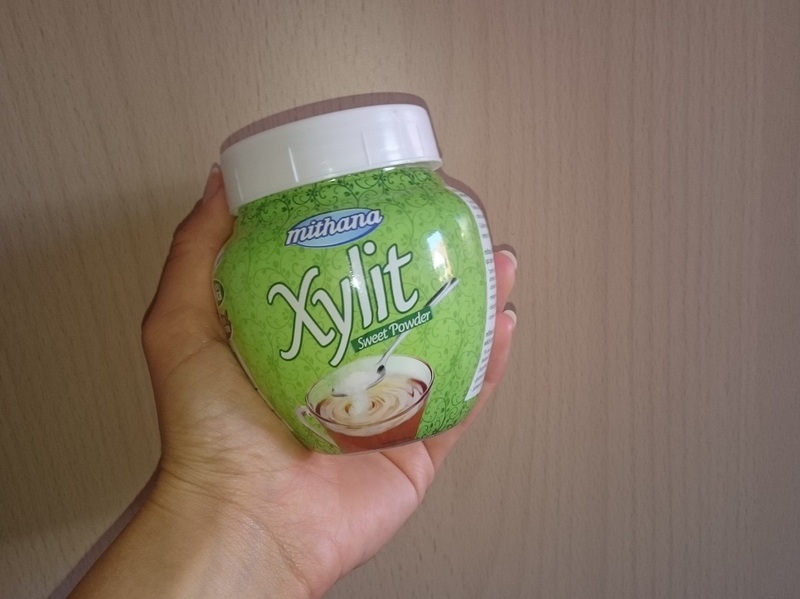 of xylitol in sweetness. If you aren’t concerned with reducing the amount of sugar in baked goods, or simply don’t have it on hand, don’t worry, and sub it out for either brown sugar, coconut sugar, or dried agave sugar in the coating! The dough may be a bit crumblier than you’re used to, but that’s because of the almond flour. To fix this problem, either add a little bit more oil, or sub out 1 cup of the almond flour for spelt flour (if you’re not concerned with this being glutenfree and low-carb). 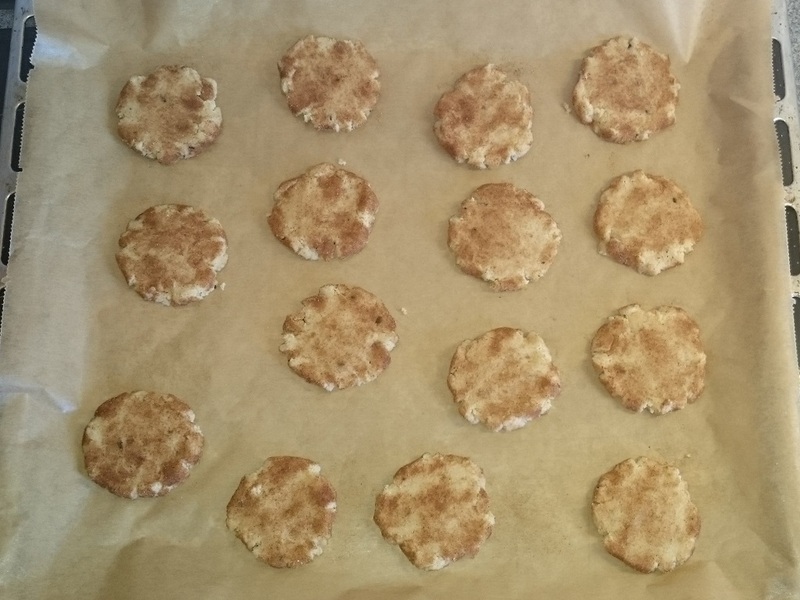 …and these are after baking. Like I said, I left them in the oven for 10-11 minutes, as I wanted to have a firmer cookie. 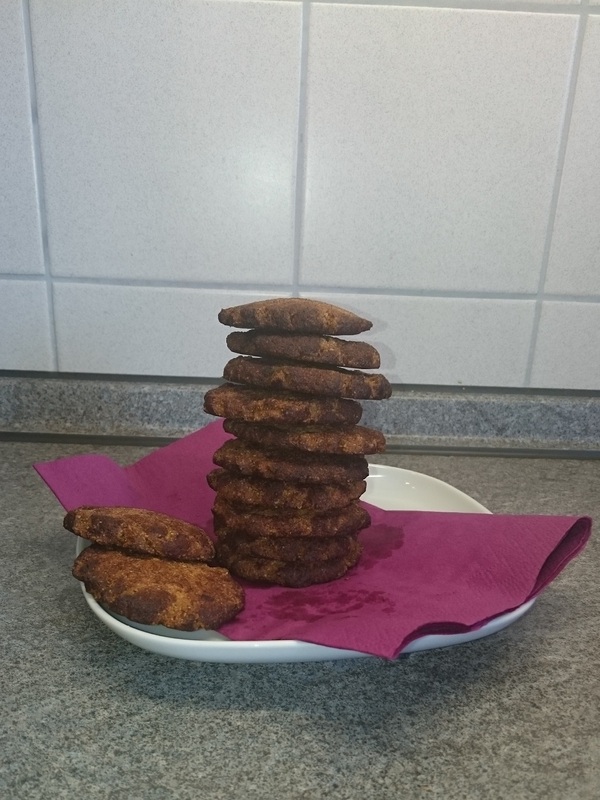 Feel free to play with the size of the cookies – for reference, I took this picture to show you how large, or rather, how small mine were. 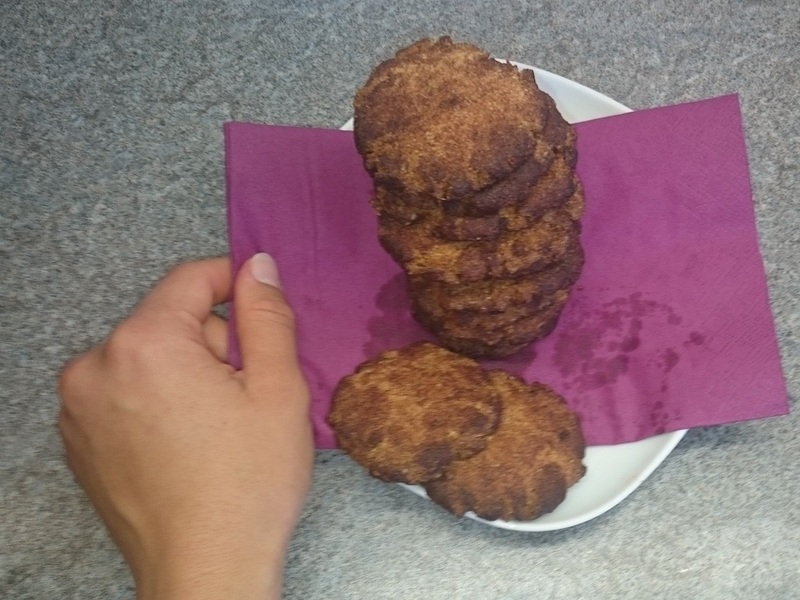 If you prefer larger cookies, simply make the dough balls larger! Store these in an airtight jar to make sure they don’t get “soggy”, but stay crunchy on the outside and soft in the center. Go ahead and make these any time of the year, as I’m sure both you and your loved ones will enjoy them. And, since they’re completely guilt-free, that’s an awesome thing!